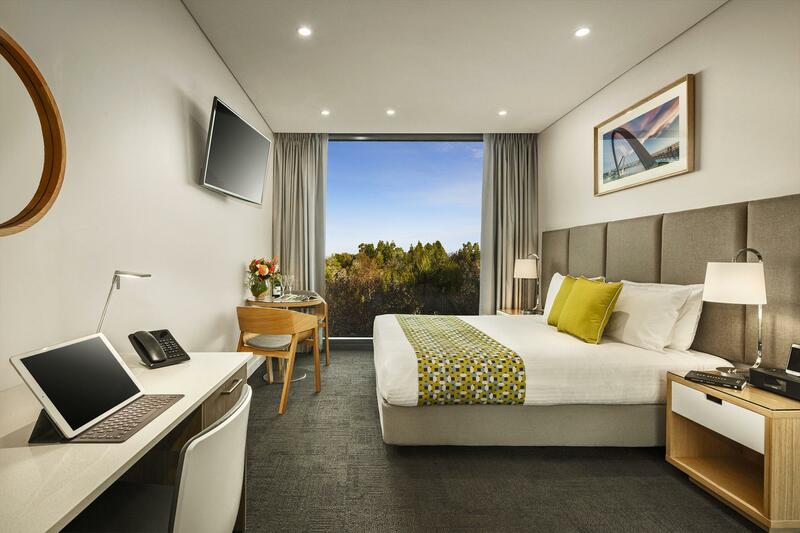 Quest Mounts Bay Road, a brand new Apartment Hotel offers guests a range of modern and stylish studio and one bedroom serviced apartments featuring floor to ceiling windows offering an abundance of natural light. All of the Perth serviced apartments have fully equipped kitchen (kitchenettes in studios), separate living/dining areas (excluding studios), air-conditioning, LCD TV with Foxtel, work desk with iPod docking stations and complimentary limited high speed Wi Fi internet access (400MB daily limit applies). Some of the serviced apartments offer Perth CBD skyline views. Quest Mounts Bay Road, a brand new Apartment Hotel offers guests a range of modern and stylish studio and one bedroom serviced apartments featuring floor to ceiling windows offering an abundance of natural light. All of the Perth serviced apartments have fully equipped kitchen (kitchenettes in studios), separate living/dining areas (excluding studios), air-conditioning, LCD TV with Foxtel, work desk with iPod docking stations and complimentary limited high speed Wi Fi internet access (400MB daily limit applies). Some of the serviced apartments offer Perth CBD skyline views. Quest Mounts Bay Road has an on-site Health Freak Café, nearby conference facilities, onsite gym, valet dry cleaning, guest laundry, breakfast options, business administration and concierge style services and wheelchair access. There are also local restaurants that offer chargeback facilities, and we offer a pantry shopping service.